Cyberspace is a borderless public space in which the Internet is a network and a tool that allows different digital devices to connect and communicate. 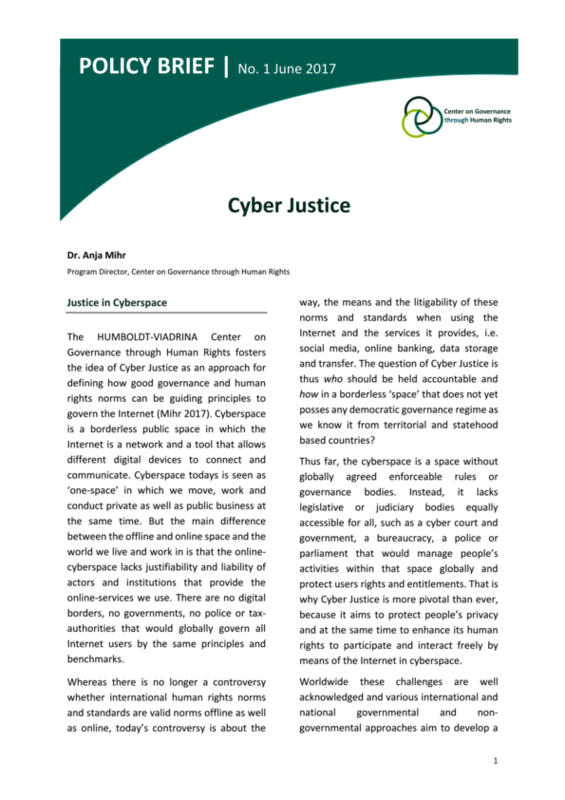 The question of Cyber Justice is thus who should be held accountable and how in a borderless ‘space’ that does not yet posses any democratic governance regime as we know it from territorial and statehood based countries? The HUMBOLDT-VIADRINA Center on Governance through Human Rights fosters the idea of Cyber Justice as an approach for defining how good governance and human rights norms can be guiding principles to govern the Internet.